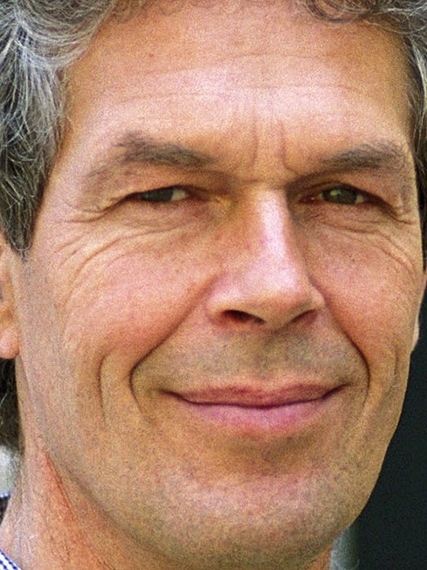 Over the last half dozen years, philosopher of science and language, Günther Witzany, working from his private practice in Austria, has organized and/or co-organized two major conferences, one on viruses and another on natural genetic engineering/natural genome editing plus served as editor of six books, two of which are based on the proceedings of the above-mentioned meetings. He is especially known for his "Theory of Communicative Nature," which we explore in the interview that follows. Witzany also gives philosophical advice to individuals and organizations in fields ranging from theoretical science to ethics, politics, the economy and the arts. Günther Witzany received his PhD in philosophy from Ludwig Maximilans University in Munich for his thesis on "the foundation of ethical norms and implementation in personal life forms." The books he has edited include: Viruses: Essential Agents of Life; Biocommunication of Animals; Biocommunication of Plants (with František Baluška); Biocommunication in Soil Microorganisms; Biocommunication of Fungi; Natural Genetic Engineering and Natural Genome Editing. Witzany's books showcase fresh, open-minded perspective via articles written by dozens of top scientists. Marvelous! But just how do publishers Springer, Wiley et al. justify charging well over $100 each for the books, pricing them out of range of the public who the science is meant to serve and who fund the science?! Suzan Mazur: You are a philosopher of science and of language, and in recent years you've been bringing people together to discuss such areas of scientific investigation as viruses and natural genetic engineering. Please tell me more. Günther Witzany: I've known the scientific papers of University of Chicago microbiologist James Shapiro going back decades. Jim Shapiro has a perspective about how the genetic component in organisms evolved or disorganized that I find interesting. So I invited him for a congress in Salzburg in 2008 on "natural genetic engineering." This is Shapiro's term natural genetic engineering. "Natural genome editing" is the term I coined in 2008 at Salzburg. A lot of other scientists attended our meeting. We discussed how genetic order in organisms is organized. It was clear to those of us gathered that this was different from the Modern Synthesis, where the idea is that genetic content is a result of chance mutations and selection of chance mutations. Suzan Mazur: Does the Modern Synthesis need replacement or extension? Günther Witzany: It must be replaced because the fundamentals of the Modern Synthesis and what we now know based on experimental evidence are very different. The Modern Synthesis regards the genetic code as a lineup of molecules that can be investigated through physics and chemistry and mathematics (for sure). And this is it. However, we know the genetic content of organisms is about communication, which cannot be reduced simply to physics and chemistry. Since the 1970s, Manfred Eigen has insisted that the genetic code is really a language, not just metaphorically, but a real language. Natural languages are always used by living organisms, and there are three levels of rules to every natural language. These rules must also be met with reference to the genetic code. But Eigen still seems convinced that there are only two levels of rules, namely syntax and semantics, that are important in investigating the genetic code. Syntax is the order of the nucleotides in the nucleotide sequence, and out of this sequence you can discover the semantics, the meaning, the second level of natural language of the genetic code. Eigen seems not to have noticed the revolution in sociology, in language philosophy derived from Wittgenstein, Austin, Searle and Habermas. Since then pragmatics, a third level, is understood to be the most important rule of natural language. Pragmatics refers to the real life context in which a natural language is used; it is an explanation of genetics and epigenetics and of how special sequences are marked without changing the DNA. Even today Eigen does not recognize this third level -- pragmatics. . . .
Suzan Mazur: Would you say more about your view of a "genetic code"? Günther Witzany: My point is if we look at the genetic code, we think first of DNA. But if we integrate the role of viruses and virus-derived parts, such as mobile genetic elements, or endogenous retroviruses, it becomes clear that most of the DNA serves as a house, a habitat for its RNA inhabitants. . . . Viruses are so abundant on this planet, in each ecological niche, that there is no organism independent of the influence of viruses and their genetic content. . . . The other point is that the genetic code is really a code, it is a natural code. This means it's a natural language, so we must assume there are code users because no natural language speaks itself as no natural code codes itself. It is always competent users that produce sequences for transport of meaning or content. . . .
Suzan Mazur: Do you have any thoughts about what replaces the Modern Synthesis? Günther Witzany: The Third Way of Evolution is an assembly of proposals that could be viewed together, as a new understanding of evolution. "Reading this book was like eavesdropping on a heated conversation among the authors, as if I'd dropped into an intercontinental pub for a pint and an evening of impassioned, free-ranging debate about viruses and the meaning of life." Günther Witzany: Suzan, I searched 20 years for my agents. It was very clear for me as a language philosopher that there must be agents who edit the genetic code, competently, not by chance. And I did not know where the agents were. Then, in 2005, I read a book by Luis Villarreal, Viruses and the Evolution of Life. And I was so excited because I found my agents. . . .
We then discussed this at the Salzburg conference in 2008 and again last year at a conference in Salzburg "DNA Habitats and Their RNA Inhabitants." I became aware of this perspective of the genetic code in relation to the "virosphere" -- that we are embedded in a sea of viral agents. I like to swim in the sea. Now I know that one drop of seawater has one million bacteria but ten times more viruses. Suzan Mazur: I'll remember that the next time I go swimming. Would you say a little more about your theory of communicative nature? Günther Witzany: I found that coordination of living agents, whether they are cells or viruses or parts of cells -- coordination of behavior in organisms needs and must have signaling. Without signaling you can't have transport of information and you can't really get coordination of two participating agents. This is the main principal of communication. Communication means sign-mediated interactions or signal-mediated interactions. . . . But the signals are not the agents. There are living agents that use signals and generate signals to transport meaning and content and information. Suzan Mazur: Is some of this signaling in organisms actually due to things like bits of magnetite inside them, such as we see regarding the orientation of certain microbes? Günther Witzany: There are four levels of communication in the biosphere. First is signaling within an organism -- mitochondria, chloroplast, cell nucleus, etc. This is intra-organismic communication, within a cell. Second, we have the inter-organismic communication process, the signaling between cells of an organism like in an organ or tissue. Specialized communication between the participating cells with the same and related cells. Third is the trans-organismic communication level, which is where organisms communicate, signal other organisms not of the same species as we can find it in symbiotic processes. The fourth level is sensing and differentiation of indices. They serve as abiotic information for living organisms. . . .
Suzan Mazur: What about the point that Noam Chomsky makes? We think of the world in terms of trees and dogs and rivers, but what are those concepts? How does that thinking challenge the Modern Synthesis? Günther Witzany: It's a network of networks -- it's not a tree. . . .
Chomsky influenced discussion about the Modern Synthesis over the last 40 years because of his theoretical assumption of a context-free grammar, a universal grammar which derives from material reality. So this is completely wrong. Natural languages are never context-free, the meaning of natural languages depends on the context in which they are used. . . .
Suzan Mazur: Is the science more conceptual there in Europe and more pragmatic in the US? Günther Witzany: America is the country where pragmatics evolved. Charles Sanders Peirce is considered "the father of pragmatism." This term I took also for my work, a pragmatic philosophy of biology. 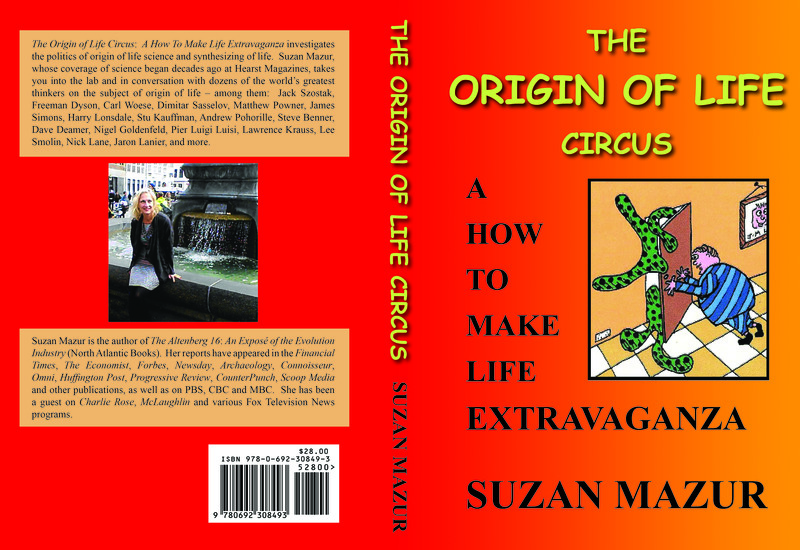 Suzan Mazur: Would you like to make a final point? Günther Witzany: The older concepts we have now for a half century cannot sufficiently explain the complex tendency of the genetic code. They can't explain the functions of mobile genetic elements and the endogenous retroviruses and non-coding RNAs. Also, the central dogma of molecular biology has been falsified -- that is, the way is always from DNA to RNA to proteins to anything else, or the other "dogmas," e.g., replication errors drive evolutionary genetic variation, that one gene codes for one protein and that non-coding DNA is junk. All these concepts that dominated science for half a century are falsified now. . . .